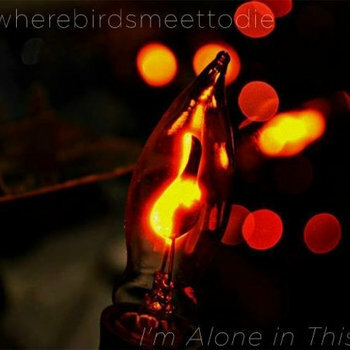 Where Birds Meet To Die are from Western Pennsylvania and remind me a bit some late 90's emo bands like I Hate Myself but also have a modern edge to them similar to Pianos Become The Teeth and Apart. The guitar work is simply beautiful. Every note is shimmering with tone and precision. For the most part these tunes stay a little more upbeat than you would expect, and that's where the band sets itself apart from the aforementioned influences. There's almost constantly a mid tempo feel happening which is extremely interesting done in this context with music that is usually more traditionally slower. Vocally there is an over the top, passoinate scream that adds just the right amount of aggression and desperation on the top layer. I find myself wanting the vocals a little lower in the mix, but they are acceptable as is. Definitely enjoying this!